These bylaws are published to provide information to all members of this esteemed organization. Your executive board has undertaken this to ensure that all members are informed of their rights and responsibilities as established by general membership through the life of these documents provided below. This Charter of the above named corporation will serve as its constitution, and this Charter will govern all business and activities of this organization. The club is chartered by The Academy of Model Aeronautics (AMA) and shall be perpetual. The name of this organization is “Flagler County Radio Aero Modelers” (F/C Rams). This is a nonprofit organization incorporated in accordance with the laws of the State of Florida. The articles of incorporation have been approved by and are filed with the office of Secretary of State, Florida. To unite in one organization those people interested in model aviation. To promote all aspects of model aviation. To expose the younger generation to this Hobby/Sport. To provide a healthy and safe environment for all it’s members. Any person that meets the qualifications set forth in the Bylaws may apply for membership. Members must be current on our club roster and hold a valid AMA card. A. Junior Members: Must be 17 years of age or under, sponsored by a parent or legal guardian who will sign for them and agree to bear the burden of legal responsibility of the minor, and be present while the Junior Member is flying unless supervised by a Club Instructor. A Junior Member will be automatically elevated to full senior membership upon attaining their 19th birthday. B. Senior Member: 18 years and older. C. Limited Member: A Limited Membership may be purchased for one three month period only once during any calendar year for a fee of $40.00. For additional time, a full membership is required. 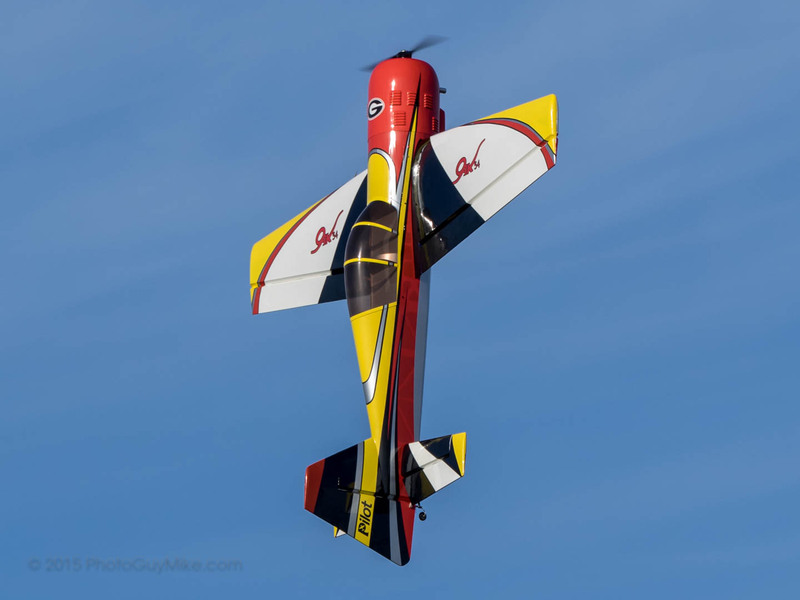 D. Associate Member: An Associate Membership may be extended to any person or entity that are interested in the promotion of model aircraft activities but are not active model flyers. The Board of Directors shall approve all applicants for Associate Membership. Associate Members are exempt from all requirements concerning payment of fees, dues, meeting attendance and AMA Licenses. Associate Members are ineligible to vote. Annual dues will be $75.00 per year payable no later than December 31. A signed application for membership must be included with the annual dues. Any new members paying full dues after October 1 shall be considered paid up for the remainder of the year plus the entire following year. A. All club officers shall be required to pay dues for the length of his or hers term in office. B. Junior Members shall not pay dues. C. Limited Members shall pay $40.00 for one three month period per year. D. Assessment: A special assessment, when required, may be levied on members by a majority vote of the membership at any monthly regular meeting. A member who has not paid their yearly dues on or before December 31 or has failed to renew their AMA membership will be considered delinquent. A delinquent member may be reinstated only by making a formal application for new membership and paying the annual dues. If a member is delinquent for failure to renew their AMA membership, they can be reinstated by showing evidence of AMA renewal. Full dues paying members may invite a guest to fly at our site if they are current AMA members and active flyers elsewhere. In addition, these guests must abide by all club rules and field regulations. A maximum of three days flying during any calendar year is permitted. Additional flying will require a limited or a full club membership. The officers of the organization shall be the President, Vice President, Secretary, Treasurer and Newsletter editor. The officers shall serve a regular term of office of (2) years or until relieved by a duly elected successor. In the event that the Office of President is vacated, the Vice President shall advance to the vacated position. The positions of Vice President, Secretary, Treasurer and Newsletter Editor shall be filled by special elections. The President, with the loss of an officer, may appoint an interim replacement. A special election must be held within three months for the permanent replacement. The Board of directors shall consist of the current officers plus the immediate Past President and such other members as the President may find necessary. Elections shall be held every (2) years at a regular scheduled meeting of the organization in the month of November. Two months before the scheduled election of officers, the President shall appoint a nominating committee composed of three members. The committee shall submit to the membership a panel of (two) candidates for each position. The nominating committee should have determined at this point that all nominees presented are qualified and willing to serve in the position nominated. Nominations from the floor are encouraged. To be qualified for nomination, the nominee shall have been a member in good standing for a period of twelve (12) months preceding the date of elections. The nominating committee shall prepare the secret balloting, conduct the elections and serve as teller and supervisor. The results of the election shall be announced immediately and all club properties shall be transferred from the incumbent officers to the newly elected officers immediately following the December meeting. Prior to the transfer of the organizations financial records and funds, a committee appointed by the newly elected President will perform an audit. Discrepancies will be resolved or presented to the membership for discussion and resolution. The President shall preside at ALL meetings. He shall appoint committees as he deems necessary. The President shall prescribe the duties of all committees unless prescribed by specific regulations. The Vice President shall preside at meetings in the absence of the President and shall be Chairman of the Program Committee. Section 3 – Secretary: The Secretary shall keep the minutes of the meetings and attend to all club correspondence. He shall keep an attendance record of the members at each meeting and shall notify by email those members who are delinquent in their dues resulting in their loss of club privileges. The Treasurer shall keep all financial records and receive all funds. He shall maintain the organization’s bank account and sign all disbursements. He shall furnish a monthly financial report. He shall notify the Secretary of members who are delinquent in their dues. He shall submit a budget for the current year at the February membership meeting. The President may authorize emergency disbursements from this budget up to Two Hundred and fifty dollars ($250.00). The Newsletter Editor shall prepare and mail or E-mail the Newsletter to all members of the club every other month or more often if the situation warrants. Regular meetings shall be on the third Saturday of the month at 9:00 am. The President may call special meetings by notification of the membership. The Secretary will provide all members with the time and place of all meetings. Failure of the Secretary to notify the members shall not nullify any procedures conducted at any meeting where a quorum is in attendance. A quorum shall consist of no less than 20 active members. No business may be conducted unless a quorum is present. The rules of Parliamentary Practice comprised of Roberts Rules of Order shall govern the proceedings of this organization, subject to special rules that have been or may be hereinafter adopted. The By-Laws may be amended by a two thirds vote of the members present at any regular meeting that has been called for that purpose. Any proposed amendment shall be submitted in writing or email to the membership at the previous meeting. In the event that this organization becomes inactive, it shall be the duty of the remaining officers to dissolve the corporation and notify the Secretary of the State of Florida. Association assets and funds shall be prorated among the active members remaining at the time of dissolution. The grievance procedure provides a mechanism to enforce existing safety rules by stating a progressive disciplinary system when needed. Although most violations of safety rules may be resolved informally, those that cannot will be referred to the Safety Committee for its consideration by means of a Grievance Form to be filled out and turned in to the Safety Committee Chairman. At least two witnesses to the violation will be required to sign the Grievance Form. When necessary a Grievance Committee of three senior members will be appointed by the president to oversee the grievance process. Will be reviewed and documented. The individual will be notified in writing by the Safety Committee that a formal complaint was filed. The second violation reported within a twelve (12) month period will be reviewed and documented. The individual will be notified in writing that the second violation is being reported to the Executive Board. After review, the Executive Board may suspend the individual’s flying privileges for thirty (30) days. If such action is taken, the individual will be notified in writing. The third violation reported within a twelve month period will be reviewed and documented. The individual will be notified in writing that the third violation will be brought before the general membership at its next scheduled meeting. The members will be notified in writing that the matter of a third violation will be on the agenda. After review and a 2/3 vote to terminate by secret ballot of the membership in attendance at the meeting, an individual’s membership will be terminated for one year.